Jim Sakas has been coaching baseball for over 30 years and is the son of legendary local pitching coach Steve Sakas. After his playing days at Illinois State University, he was named the head baseball coach at Niles North H.S. After 17 years as a head coach Jim resigned to spend more time with his family. He retired as the winningest coach in school history which included conference and regional championship teams. Jim recently retired after a 33-year teaching career in special education. This experience makes him an expert in differentiated instruction, giving him decisive advantage in coaching. He can identify and communicate with students of various learning styles, and abilities. He believes coaching is an extension of the classroom environment. Coach Sakas has been one of the most successful and sought after pitching coaches in the Chicagoland area for many years. He has coached pitchers as young as age 7 up to the Major League level. 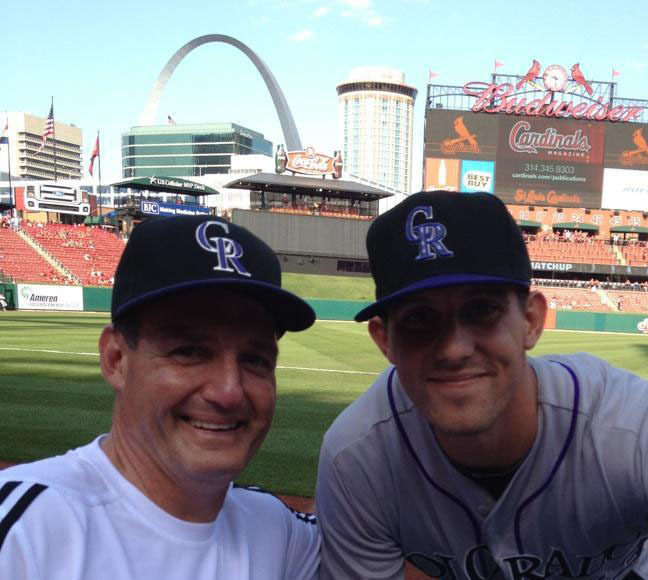 He coached Christian Friedrich, a 2008 1st round draft and San Diego Padres starting pitcher. Jim and his father Steve also coached 2-time World Series Champion and Pittsburgh Pirates relief pitcher George Kontos. Presently 5 of his pitchers are in the MLB Pipeline, AAA LHP Ryan Borucki with the Blue Jays (Mundelein H.S.) High A RHP pitcher Alex Hermeling with the Dodgers (Glenbrook North H.S. ), High A Pitcher Dylan Rheault with the Giants (Central Mich. University), Brendan Murphy LHP, 2017 4th round pick of the Milwaukee Brewers (Mundelein H.S. ), and Jean Casanova RHP 2016 draft by the Texas Rangers (Waukegan H.S.) Collegiately 5 of his pitchers are on D1 rosters (all from this area). For the high school graduating class of 2018 he has 4 D1 commitments. Numerous students can also be found on college rosters of all levels and on high school teams all over the area. Coach Sakas is a firm believer in teaching his students to pitch with rhythm. This rhythm combined with solid mechanics allows pitchers to repeat a biomechanically sound motion thus creating efficient momentum, power, confidence, and command. He also takes the time to train his students to become pitching coaches themselves. Jim’s greatest strength is his ability to get his pitchers to understand the biomechanics of pitching. He preaches kinesthetic awareness, ball flight and location as vehicles for pitchers to troubleshoot and coach themselves. He encourages his older pitchers to begin training younger pitchers to increase their own understanding of safe and efficient pitching mechanics. Jim is available for individual and group lessons. He is also available basic and advanced pitching camps for teams or large groups. Slammers product on the Colorado Rockies! Chrisitan Friedrich (linked article below) is currently a starting pitcher in the Colorado Rockies rotation. Slammers Senior Pitching Coach Jim Sakas has been working with Christian for over 10 years. Christian just completed his first full Major League season in 2012 with total of 74 strikeouts in only 84 innings pitched. Keep up the good work Christian!